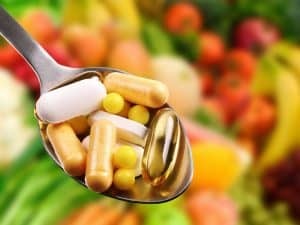 If you have ever walked into a drug store, a grocery store, or a health food store, then you have probably been inundated with hundreds of vitamins and supplements. Walking down the supplement aisle can be daunting and a little confusing. If you have questions about supplements, including whether they are worth the money, then keep reading. 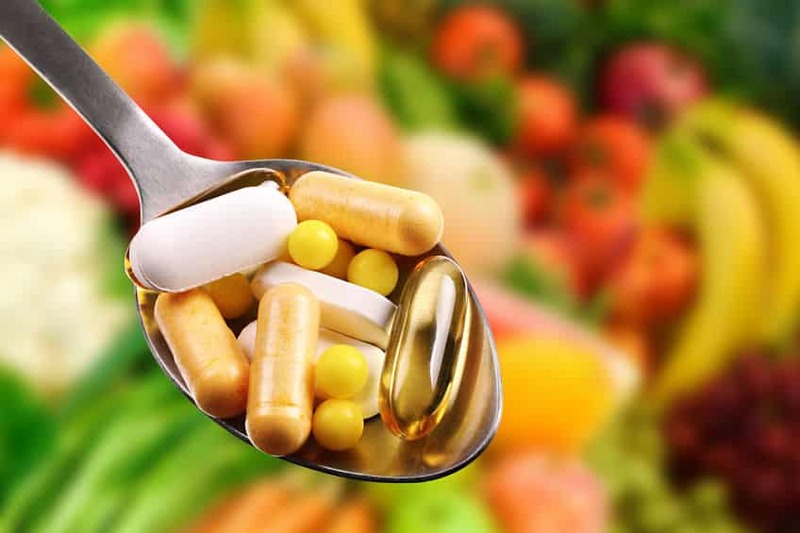 Dietary Supplements vs. Nutritional Supplements – Is There a Difference? What are the Types of Dietary Supplements? When Should You Take a Dietary Supplement? Why is the consumption of supplements considered risky? Can I take supplements without a doctor’s prescription? 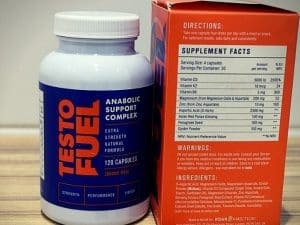 What does the word “standardized” on a supplement label mean? What percentage of daily value should I take of each supplement? Can I take too many supplements? Dietary supplements are pills, liquids, or powders that contain ingredients such as vitamins, minerals, enzymes, herbs, etc. These supplements are marketed for various purposes and can contain a mixture of ingredients that are supposed to help you feel healthier. In short, dietary supplements are typically pills or liquids that are marketed towards helping you and your family feel better. They come in a variety of strengths, vehicles, and packaging to fit your needs. Nowadays, you can easily find a supplement for any typical or atypical vitamin and mineral. Whether you are looking for a pure vitamin C supplement or an internet-crazed supplement such as ashwagandha mushrooms, the supplement aisle probably has it. Dietary supplements are designed to supplement your diet. This means, that if you eat a balanced diet, then you may not need any of those supplements that you see on television or the internet. However, dietary supplements may still be beneficial if taken correctly. Dietary supplements work by giving your body excess nutrients. Or example, if you choose to take a multivitamin each day, then you may be taking almost all of the vitamins and minerals your body needs in one or two small pills. Then, by eating a balanced diet, you can obtain more of these essential nutrients. The majority of vitamins and minerals found in foods and supplements are water soluble, meaning that you will merely get rid of any excess by filtration through your kidneys. Fat-soluble vitamins include A, D, E, and K. These vitamins will be stored in your fat cells, and must not be taken in excess for this reason. Taking too many fat-soluble vitamins is one of the ways that dietary supplements can become dangerous . Pure dietary supplements such as ones that contain essential vitamins and minerals similarly work in your body if you would eat foods with these nutrients. Your body has a maximum absorption rate for any nutrient at any given time. Thus, by taking vitamin and mineral supplements, your body will absorb a maximum amount and utilize these nutrients just as if you had eaten foods rich in these nutrients . 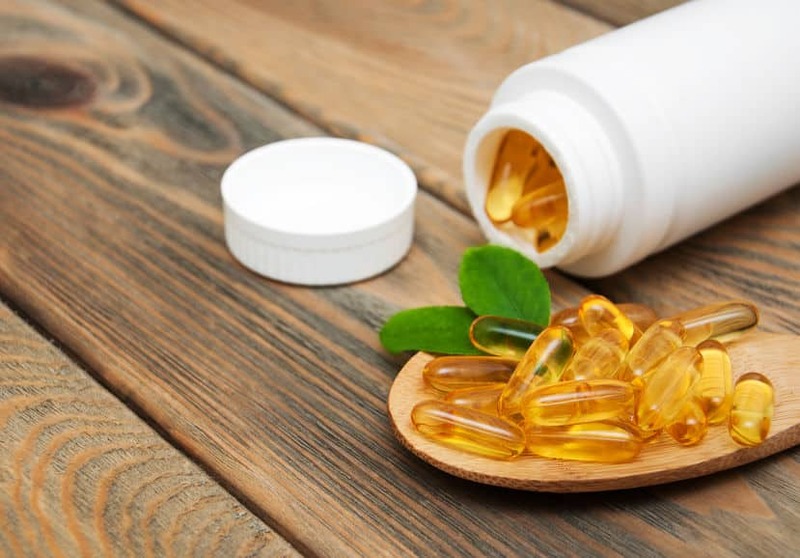 Dietary supplements that are more holistic and contain herbs, enzymes, and amino acids may work by helping out the different processes in your body that allow it to function optimally. These supplements are not always widely studied by nutritionists and are not regulated, so they must not be taken lightly. The main reason to take dietary supplements is to feel healthier. Certain supplements have been shown to reduce cholesterol levels, improve joint health, and even reduce the effects of aging. However, not everyone needs supplements. The perfect candidate for dietary supplements is someone who doesn’t absorb nutrients well. 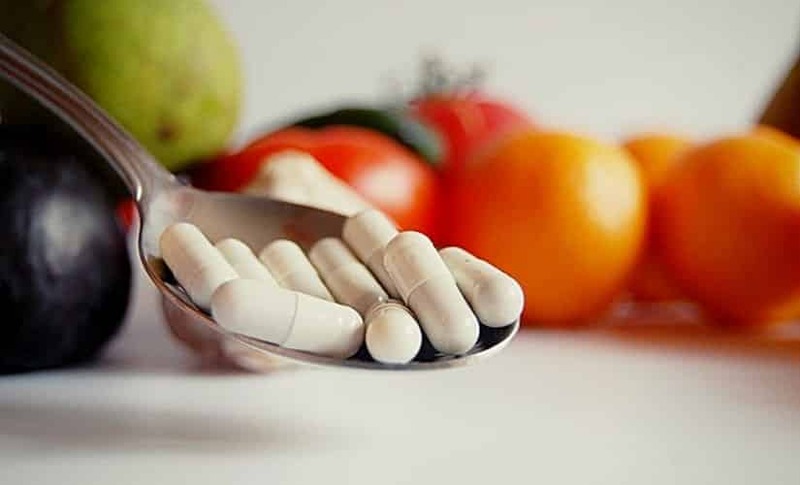 If you suffer from poor digestion, reduced energy, decreased concentration, or even if you don’t eat as healthy as you could, then you may be an excellent candidate to take supplements. To start, the most natural supplement to take is a multivitamin. No matter if you eat healthily or not, a multivitamin can fill in the holes of your diet and ensure that you are getting the right nutrients each day. Other candidates for dietary supplements include people who may be suffering from a chronic illness. Autoimmune diseases and other chronic diseases may cause your body to utilize nutrients quickly. Any disease that leads to chronic inflammation can cause your metabolism to rev up and cause you to need more nutrients to heal your body. Dietary supplements may work wonders for this population. If your doctor suggests dietary supplements, then that means you also must be the perfect candidate for supplements. Certain supplements such as fish oil have been shown to decrease triglycerides and your total cholesterol. This is an easy and effective way to take supplements and see a health benefit. In general, if taken correctly and under your doctor’s supervision then supplements are safe. However, just like any other substance that you put in your body, supplements can have side effects. You should always be aware of any potential side effects when you first start taking a new supplement and tell your doctor if you experience any adverse effects. Supplements are more likely to be harmful if you are taking them without your doctor’s knowledge. This is especially true for patients who are on a variety of other medications. For example, most patients on blood thinners should avoid dietary supplements with vitamin K in them. Vitamin K can reduce the effectiveness of some blood thinning medications, and lead to blood clots. There are many other examples of times in which supplements may not be safe. Always talk with your doctor about your supplements and any of your medications that you are taking before starting a new vitamin or supplement. Your doctor can help you choose the right supplements that don’t interact with any existing medications. Another cause of safety concern is the number of supplements you may take. As stated previously, there are water and fat-soluble vitamins and minerals. It is virtually impossible to overdose on water-soluble nutrients, but fat-soluble nutrients can be excessively stored in your body. This can lead to many detrimental health issues . Dietary supplements tend to refer to any medication that is full of vitamins, minerals, herbs, enzymes, or other nutritional compounds. Nutritional supplements tend to refer to supplemental products that can help you gain weight or maintain a healthy weight. An example of nutritional supplements includes protein powder and nutrition bars for kids. Nutritional supplements are different from dietary supplements in that their primary goal is to give you a vital compound that you are missing. For example, protein powder can be considered a nutritional supplement if you lack protein in your diet. There are also nutritional supplements that contain higher amounts of fat and carbs for people who need those compounds. The main types of dietary supplements include vitamins and minerals, herbs, and enzymes. All of these different types can be found separately or mixed to make a ‘super’ supplement. Vitamin and mineral supplements are the most common and are the least harmful of the bunch. They can be found at virtually any grocery store, drug store, or online and come in liquids, pills, and even gummies. These types of supplements can be found in multivitamin forms, or you may be able to purchase individual vitamins or minerals in case of a deficiency. Herbs are another type of dietary supplement on the market today. Often sold as botanicals, herbal supplements are plants that have been used for medicinal purposes for hundreds or thousands of years. Examples include echinacea, which is touted as an immune booster. Enzymes are another type of dietary supplement on the market. 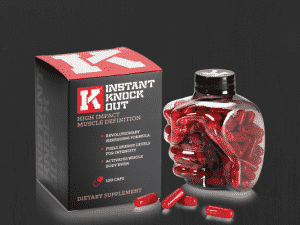 These types of supplements suggest that they quicken up bodily processes such as digestion. You can find enzymes to help digest gluten and lactose at most drug stores. Each dietary supplement states a different benefit. However, for the most part, dietary supplements are created to help improve your health and overall well being. There are a variety of different types of supplements that you can take to accomplish this. The benefits of taking vitamin and mineral supplements include treating any deficiencies or holes that you may have in your diet. For example, in today’s sedentary world, many people are vitamin D deficient due to lack of sunlight. Taking a vitamin D supplement could improve their energy levels and increase their concentration. If you are deficient in any essential nutrient, then a simple blood test will let you and your doctor know. Physicians routinely screen for vitamin D, iron, and B12. These three vitamins can easily be found over the counter and can be taken under a doctor’s supervision. By taking these vitamins if deficient, then you may begin to feel more energized and less foggy. 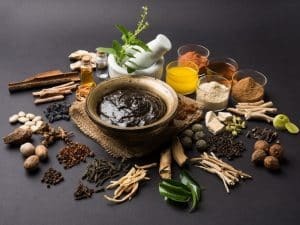 Herbal supplements have been around for many years, but are still not heavily regulated by the FDA. They often carry many drug-drug interactions and should always be researched thoroughly before taking them. It’s essential to talk with your doctor or pharmacist before starting an herbal supplement to ensure that it won’t interact with any of your medications. Enzymes are a newer type of dietary supplement. For people with lactose intolerance, taking a daily lactase pill before consuming dairy can be incredibly helpful. However, for the general population, enzyme supplements may not provide any effect at all. Each type of dietary supplement may have a different side effect. The most common side effects of vitamin and mineral supplements is a change in urine color. This is due to your kidneys filtering out the excess vitamins and minerals. For this reason, a lot of people don’t like buying supplements because they feel as if they are wasting them. Any unusual side effect should be reported to your doctor immediately. Be watchful of your health and how you feel after starting a new dietary supplement. Any odd or abnormal feelings should cause you to stop the supplement and talk with your doctor. Other specific side effects include drug interactions. As stated above, vitamin K can affect the effectiveness of certain blood thinners. St. John’s Wort may also reduce the effectiveness of certain antidepressants and birth controls. Also, antioxidants such as vitamin C and E may reduce the effectiveness of certain chemotherapy drugs. For this reason, it is vital to talk with your doctor before starting a supplement. If your doctor prescribes a dietary supplement, then you should take one. If not, then you may not need one. However, a multivitamin is not a bad idea to consume each day. Dietary supplements are relatively safe, especially if taken under a doctor’s watchful eye. However, they aren’t necessary for everyone to consider. If you eat a balanced, healthy diet, then you probably are getting enough nutrients each day to sustain a healthy body. If you do suffer from a chronic illness or have health issues, then dietary supplements may optimize your health just a bit more. Daily multivitamins and are an excellent dietary supplement to start with if you want to delve into the supplement world. Simply find a supplement that is easy to take and that has a large variety of vitamins and minerals. These supplements are relatively harmful and can be added to your daily routine reasonably quickly. For the right person and problem, supplements can be useful. However, if you eat a balanced diet and are generally a healthy person, then you may not notice a difference from taking any supplement. Talk with your doctor about finding the right supplements for your health and body, and you could notice an improvement in your blood pressure, cholesterol levels, and overall energy levels. Supplements are regulated by the FDA, but not nearly as critically as medications are monitored. The rules for supplements state that companies selling supplements cannot make health claims about their products, and only include certain health benefits if research can back up the benefits. However, the FDA does not regulate the research and doesn’t conduct its research to determine if the benefits are valid. The FDA monitors whether or not a supplement is safe for consumption, but that’s it. It doesn’t monitor the effectiveness of the supplement and doesn’t allow companies to make any claims about the efficacy. Consumption of supplements is considered risky due to the lack of monitoring by the FDA. Plus, supplements can mix with your medication and lead to detrimental effects. Taking supplements under the watchful eye of your doctor is very safe though. Taking supplements should not put you off if your doctor is on board. Yes, you can buy whatever supplement you want over the counter. There are prescription strength supplements such as iron and vitamin b12, but you can still find these supplements in smaller concentrations over the counter. “Standardized” means that each supplement concentration has been standardized to meet specific company regulations. Each supplement company has its own set of regulations that they meet to keep their product on the market. Supplements that may help you lose weight include garcinia cambogia, which is an herbal supplement, and B vitamins. B vitamins can help give you more energy and allow you to work out if that’s an area that you are struggling in. Garcinia cambogia can curb your appetite, but should only be taken in small amounts each day. Dietary supplements such as a multivitamin may help you build muscle, especially if you are deficient in any vitamins or minerals. However, nutritional supplements such as protein powders can help you build muscle by increasing your protein content and giving your body the protein it needs to build muscle. 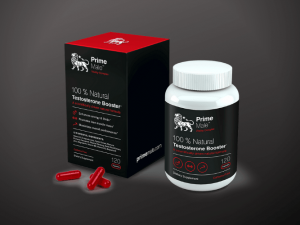 Read: The Truth About Testosterone Booster Supplements – Are They Safe? Do They Work? In general, the daily value of a vitamin or mineral shouldn’t exceed 100%. Otherwise, your body may not absorb it. However, it is difficult to find multivitamins or supplements on the market that have only 100%. Most companies sell multivitamins that have 200% or more of each vitamin and mineral. As a safety precaution, if the concentration of a vitamin seems to be extremely high, then ask your doctor first. Taking water-soluble vitamins in high doses isn’t dangerous since you will excrete any that you don’t absorb, but taking high amounts of fat soluble vitamins can be bad for your health. You can always overdo it with anything that comes to your health. It is essential not to start taking a ton of supplements at once, and instead, add one type of supplement to your diet at a time. This way, if you experience any side effects, then you will know what supplement caused the side effect. 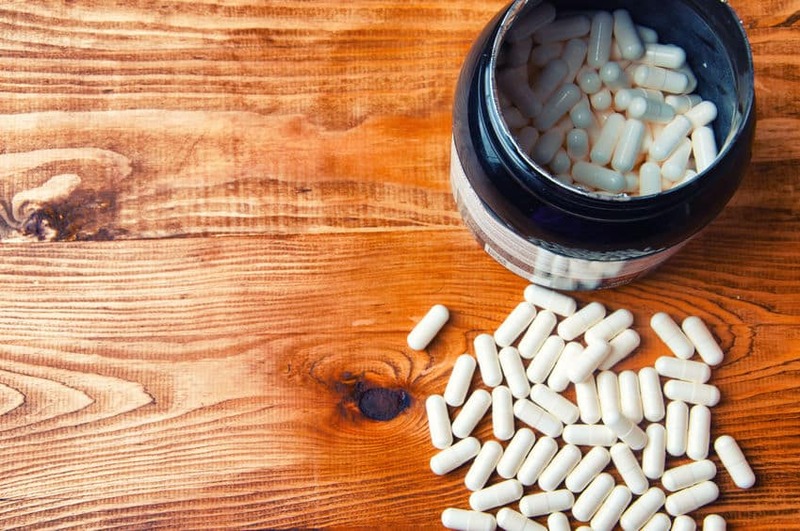 The bottom line is that supplements can be very healthy for you if taken correctly. Always talk to your doctor before starting any supplements and to determine which supplement is best for you. Starting with a simple multivitamin is a great way to delve into supplements, and see how supplements affect you. Now, after walking down the supplement aisle at your local drug store, you may understand a bit more about supplements. First and foremost, do your research about each supplement you want to try. Secondly, talk with your doctor and learn about the medical implications of your supplements. This will help you make healthy decisions about your food and your supplement.